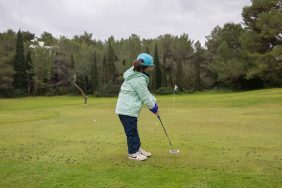 During the morning of Sunday, 20th January, the younger golfers have gone into the 9-hole and 18-hole golf courses of Golf Ibiza, to compete in the 1st Peque Circuito 2019, an event that counts officially to lower their handicap. This circuit at the Balearic level is designed so that all children of the Golf Academies of the Balearic Islands can demonstrate their evolution in the game and lower their handicap more easily. 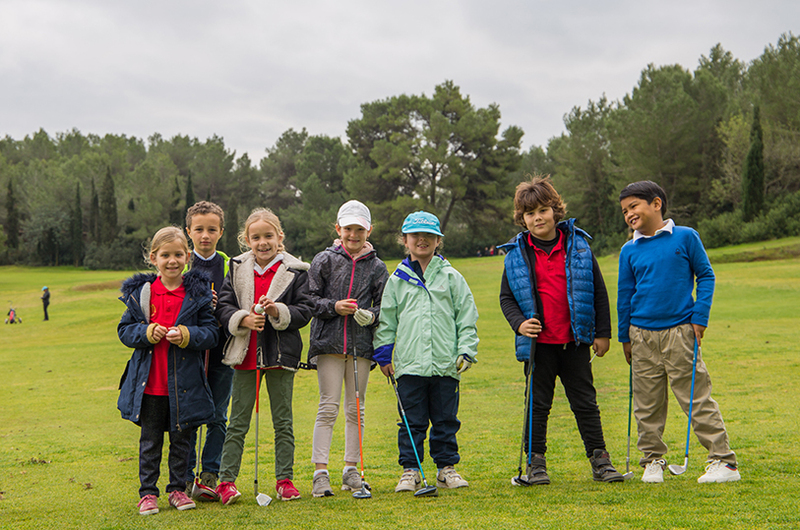 The cloudy day did not prevent more than 40 children from the Children’s Academy enjoying the golf course during the day. At 08.45 am in the morning, the most advanced players went to the “Golf de Ibiza” course of 18 holes and from 09:15 hours the younger ones left to play the 9 holes on the “Roca Llisa” golf course. 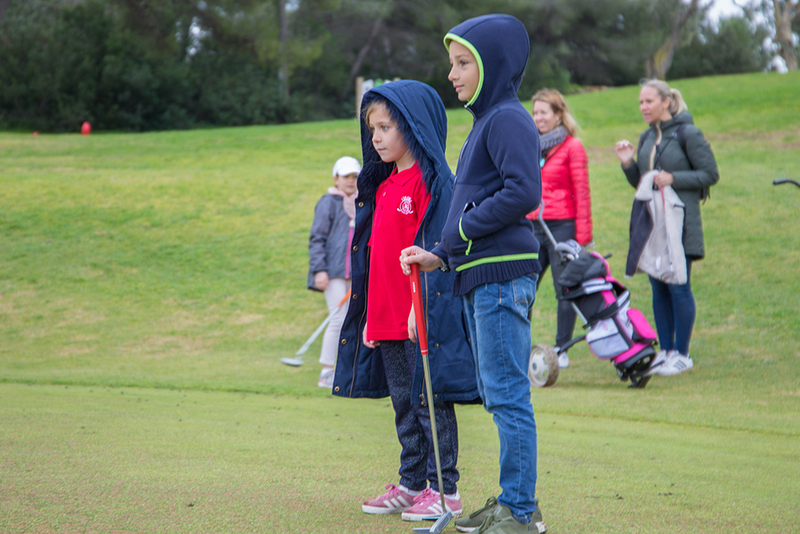 This time, the youngest golfers played the first three holes of the Roca Llisa course in a special category. After the round, an appetizer of food and drink for all the children took place, along with the presentation of several gifts to each of them as a souvenir of the event. At the end of the morning, some of the children were unable to finish their round due to the heavy rain. The event will continue next Saturday for all golfers who could not finish their game and at the end of the round, we will know the final results. 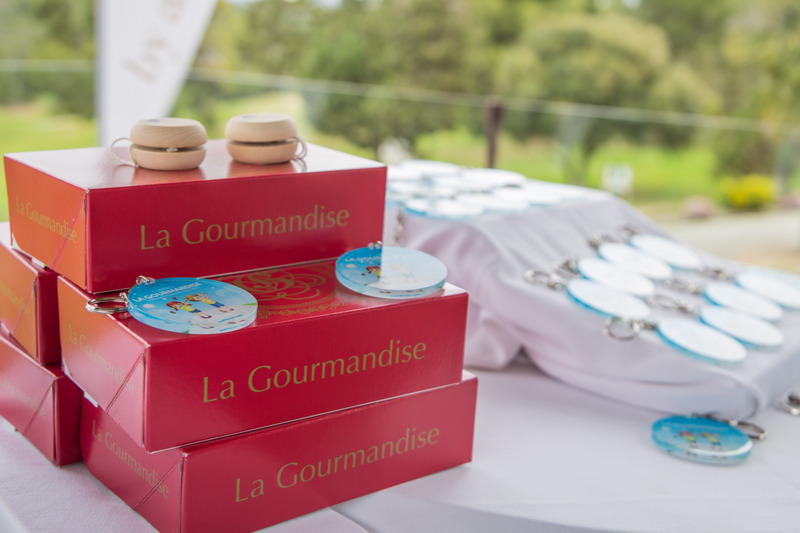 Special thanks to La Gourmandise, a refined artisan French bakery, for their great collaboration in this great first event of the year 2019 of “Peque Circuito” in Ibiza.